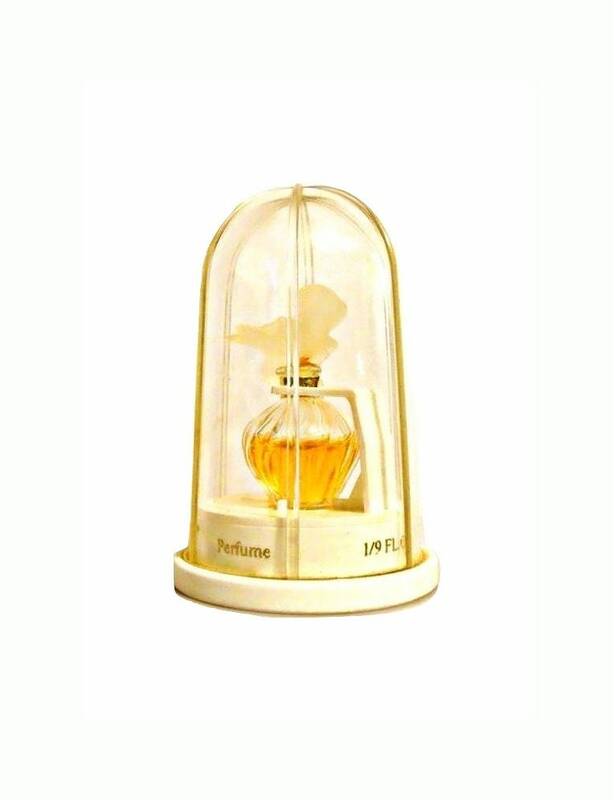 Vintage 1980s L'Air du Temps by Nina Ricci 1/9 oz Pure Parfum Splash Mini Miniature Perfume Bottle in Case. 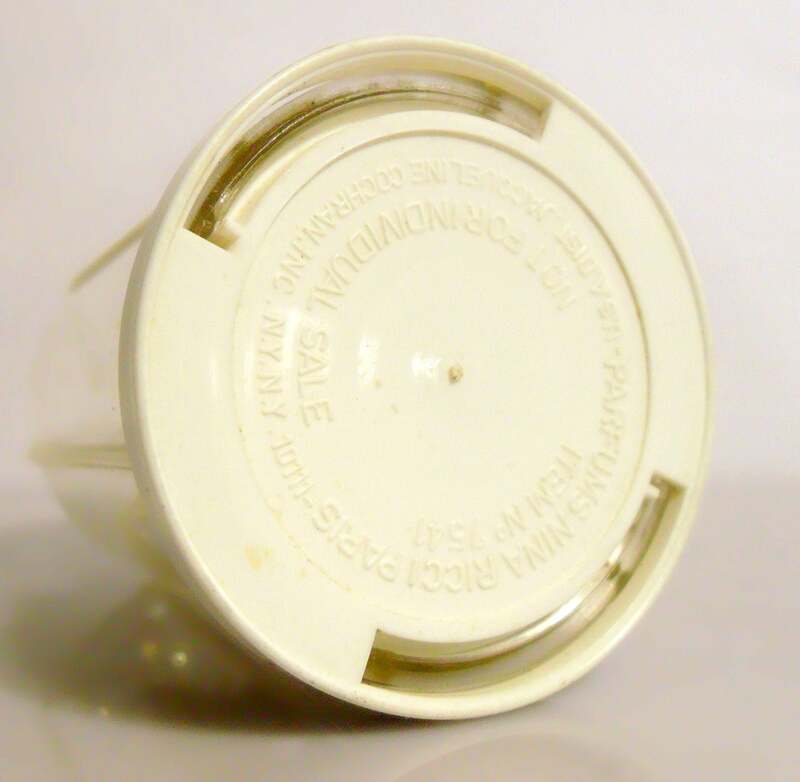 The stopper is molded plastic with the dove design. Bottle stands 1.75" tall. 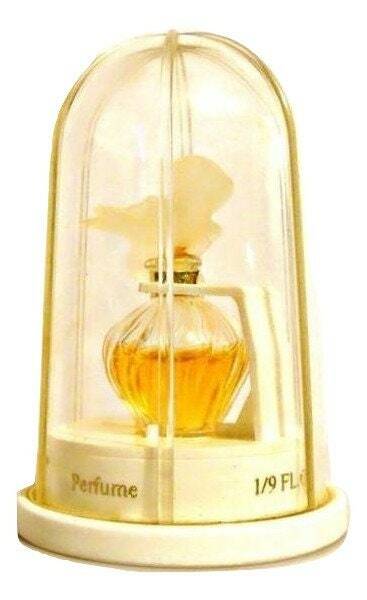 L'Air du Temps was launched in 1948, when the world wanted a breath of fresh air after the ravaged years of the war. Women who had worked in munitions and related wartime factories wanted to regain their femininity and were seeking to bring back romance into their lives. Their answer was to come in the form of precious perfume. L'Air du Temps, literally means "The Air of the Times" in French. Top notes are carnation, peach, neroli, bergamot, rose and Brazilian rosewood. Middle notes are rosemary, carnation, gardenia, violet, orchid, cloves, orris root, jasmine, ylang-ylang and rose.